The brain thrives on stimulation and rewards us with happiness and intelligence when it is kept active. Far from being the static muscle once thought, our brains are capable of lifelong change and development. It can be our best tool or it can torment us, depending on how we use it. Dr. Norman Doidge traveled the world gathering information for his fascinating book on brain plasticity. One reviewer calls it “an owner’s manual for the brain”. I agree. If you have a brain you need to read this book. If you want your brain to function at its peak you need to read this book. Vern Burkhardt (VB): Do newborn infants come into life with a totally clean brain slate? Norman Doidge: No. Not totally clean. Genetics plays a role. Even in the fetus the brain is starting to develop. That’s not to say there are innate ideas, but there are innate dispositions which are born of millions of years of evolution. For instance we, like all mammals, come into the world with a fear of reptiles, and with the ability to read, with very little priming, non-verbal gestures of other animals. So no, the idea of a totally blank slate is an overstatement, but that overstatement is not remedied by another equally extreme overstated idea which is that everything in our minds is genetic. It’s never nature or nurture. It’s always how much nature, how much nurture. VB: A fascinating part of your book’s message is that we can change our brain’s structure and functions using thoughts and activities—that’s the nurture part isn’t it? VB: You indicate it has only been in the last few decades that science has begun to understand and accept brain plasticity. Do you have any notion why it took so long to discover this phenomenon? Norman Doidge: Four reasons. First of all, there were the prejudices of mechanistic biology which saw the brain functioning as a complex machine with parts. This is a very deep reason. I could take up the whole interview and the rest of the day talking about this. The notion that the brain was like a complex machine with parts was in some ways modeled on the knowledge of the heart which is much like a pump. Machines do many glorious things but they don’t grow new parts. The second reason is we lacked the technology to view brain change which takes place microscopically over time. Even with advanced technologies like CAT scans we couldn’t make the necessary microscopic movies. To persuade the scientific skeptics we needed those movies. Three, the notoriously poor response people usually have to brain damage. And the doubt which accompanied those who had a positive response—when people actually did recover from strokes and get better, we were so under the influence of the mechanistic view of the brain that we assumed those people never really had much brain damage. If they looked disturbed it was because their brains had been in shock or swollen, or their metabolism was off. When they got better all it meant was that the shock had gone away. This tends to be not true. Many people who have had brain damage go through a period where they’re functioning poorly but improve once their brain has reorganized. The fourth is something I call a plastic paradox. We could talk about that perhaps at the end of our conversation. VB: Okay. Most people think of IQ as a person’s inborn, unchangeable upper limit of intelligence. Yet in a couple of the case studies in your book, measurable IQ actually increased. Just how plastic do you think IQ is? Norman Doidge: I’m not altogether sure, but many people who have studied IQ for years have basically stated there is, again, a nature and nurture component. There is a very, very strong genetic component to IQ. But people who have studied it carefully show that there are other influences as well. We all make use of those other influences so if you have a genetic deficit or a genetic advantage, it’s not a trivial matter. Once you come into the world with a genetic head start and start applying all the techniques that we all apply, you’ll be ahead of anyone with a genetic handicap. But neuro-plasticians have found, to their surprise, that IQ can be raised quite quickly through the use of certain brain exercises. IQ is a kind of general intelligence that has to do with both mental probity and speed in solving problems. We now know for a fact that the speed of mental computation can be increased by neuro-plastically based mental exercises. VB: Is it also related to what we are exposed to culturally? Norman Doidge: That is a very controversial area, in which I’m not an expert, but I think yes. It should be no surprise that how you train your brain is going to have an impact on its functioning just as the way you train and use your physical muscles has an impact on your body’s functioning. VB: How does brain science account for proclivities and talents? Can they be learned like knowledge? Norman Doidge: Up to a point, yes. What I mean is that a young musician who has talent and does better than his or her peers, isn’t going to be a concert pianist without a lot of teaching, practice and good technique. The same goes for a number of mental faculties. They can be developed. The word developed doesn’t mean that you start with nothing—development means an unfolding. Every serious human being is engaged in this kind of development of their potential. Aristotle said that is what human excellence basically is—the development of the faculties in an appropriate way. Neuro-plasticians show that the brain is plastic not only in early childhood but from cradle-to-grave. This means we have to revisit the whole notion of adult development as a very, very serious undertaking. The adult brain can be maintained, developed and improved in many areas. But not by taking the occasional course after the age of 45. VB: That message is going to become increasingly important with an aging population. Norman Doidge: Yes, the longer we live the more relevant it becomes. And it is relevant not just for developing and improving but also for preserving. The secret to old age is a very simple one from the medical point of view. What you want is to have all your organ systems last as long as they can and then cease to function all at once! Norman Doidge: We’re in a situation now where, because of extended lifespan, a very high proportion of people—close to half—will find that their brains crap out before their hearts, livers and kidneys. So extending mental life span to equal that of other organs is a kind of imperative, otherwise we’ll have aged humans that are like infants who can’t function and care for themselves. VB: It will become the tragedy of aging rather than the…. Norman Doidge: That’s right. And real babies are only babies for a few years. VB: They’re also easier to handle! When someone has learned a lot, developed a lot of skills, does this limit the brain’s ability to take on more? Are brain areas less available for new uses once they are used for existing functions? I am thinking about Jordan Grafman’s belief that Michelle Mack’s inability to extract themes from her experience was due to the fact that her right brain, where this skill normally develops as a person matures, was already fully occupied with adopted left brain functions. Norman Doidge: There is an ongoing competition for cortical real estate in the brain. So the order in which you learn and develop skills is important because the first skills you develop get what you might call “squatter’s rights” in cortical real estate. Another aspect to it is that because you are good at those skills you prefer to use them in situations, which reinforces them, making it harder for new skills to find a place. But learning new skills is do-able—the brain is plastic enough that if you do something on a regular and consistent basis, it will develop its own cortical real estate. There are certain functions which are so basic you use them all the time and they are not going to give up cortical territory—like the ability to see, for instance. Unless you become or were born blind, in which case the so-called visual cortex very quickly starts to process touch and hearing. If I put you in an absolute blindfold your visual cortex, which is located at the back of your brain, would be processing sound and touch within a number of hours. VB: In the past it was not uncommon to hear people say that we use only about 10% of our brain’s capacity. How true or untrue is that? Norman Doidge: That is a statement the origin of which goes back at least 100 years and yet I don’t know who originally said it. I would say it is true in spirit but false in letter—using the analogy of the spirit and the letter of the law. Here’s how it is correct. It is correct in that, if we understand how plasticity works, we can do much, much more than we ever imagined with our brains. We can reallocate, and change the functioning of, various parts of cortical real estate. But it’s wrong in this sense. At any given time you are using all of your brain for the things that you do on a regular basis. Your brain does get better and better at processing what you do every day. If those things are crude—like watching a lot of television, in which case your brain is going to be preoccupied with how to process the idiot box—they will not demand anything of the brain and part of your brain will start to fade away. VB: Is it possible that the brain has an infinite capacity? Norman Doidge: No. It’s not infinite. I would never characterize it as “infinite”. That gets into the realm of magic. It’s a dangerous idea. We need some humility here. The human brain is quite amazing. It has windows onto reality but we know that each of these windows is partial. Sometimes we take these partial windows of hearing and sight and apply them to concepts, say of the microscopic world or of the whole universe, and try to integrate them together and come up with an intuitive picture of that world or object. However, all available evidence so far shows that we make mistakes in these perceptions and intuitions all the time, every day, and to characterize something that is making mistakes all the time as infinite in its’ capacities would be a gross exaggeration. Now that doesn’t mean it isn’t extraordinary. One extraordinary thing it does is detect errors. We have an error detecting mechanism in the brain. The very presence of that mechanism implies that somehow or other in the course of evolution the brain has become responsive to its own tendency to make mistakes. But that doesn’t mean we’ve been able to close all questions. It means the brain works by getting partial glimpses of aspects of reality that have to be constantly corrected. VB: We have an explosion of knowledge—it supposedly doubles every year. Does this mean modern man is more intelligent than his predecessors? Norman Doidge: That really depends on what you mean by intelligence. There are aspects of knowledge and intelligence—oral traditions, for example—about the natural world that are being lost by the second. It depends what you mean by “we” and it depends what you mean by “intelligent”. We’d have to unpack all of that and we could probably spend an hour just trying to clarify those terms. VB: So perhaps we shouldn’t. Norman Doidge: I would leave that aside. A lot of damned fool mistakes people are making though. The examples in your book where external contraptions interacting with the brain are being used to help people experience or do something they otherwise couldn’t, such as enabling the blind to see for the first time or the paralyzed to control a robot with their mind, are absolutely fascinating. They suggest that our entire experience of life is brain-centred. Would you talk about that? Norman Doidge: The correct way to say it would be that the brain is the command control centre, as far as we know, of our experience. It is very important to understand two things which seem to go in opposite directions. The first is when talking about the processing of sensory data like sight and hearing, it is important to understand that inside the brain there are no images. There are no pictures of Queen Elizabeth or Prime Minister Harper or the White House or your favourite rock and roll band inside your brain. There are no sounds in the brain. There are no smells in the brain. As far as we know all there are inside your brain are patterns of electrical stimulation. But the brain, somehow, is able to create a subjective experience out of them. That doesn’t mean the brain in and of itself creates images or sounds. Because these patterns of stimulation are coming from something in the external world which are part of the electromagnetic spectrum of energy. When we see an image—when you look at your telephone right now and see it—the question of where that telephone is is actually a very complicated one. One is tempted to say it is in your brain because if you blocked your brain or if you blocked your eyes you wouldn’t see the image. But it may be that the image in some way or another is also in the world and in your subjective consciousness. This is something I’m currently thinking a lot about. But I think you were driving at something else in your question. Which was is our entire experience of life brain-centered? It seems this is where our sense organs come in. They are able to detect pattern changes in the electromagnetic spectrum and they are focused on different aspects of that. The retina is focused on detecting photons. Other areas are sound waves, heat energy and kinetic energy. Each sense organ translates these different energy patterns from the external word into energy patterns that go down the neurons. The brain then translates these energy patterns into what we experience as sight, sound or smell. Because we can now actually attach cameras to blind people’s brains, allowing them to see, and attach microphones, cochlear implants to the brain so the deaf can hear you could say we don’t see with our eyes or hear with our ears, but with our brains. It is very remarkable but it doesn’t necessarily prove that the whole visual or hearing experience is just in the brain. VB: Is the human brain evolving in any way? Norman Doidge: Yes, it is evolving. The Darwinian influences on the species continue to occur. Though they may be somewhat slowed because cultural evolution gives us new modes of adapting—meaning there is less need for us to change in some areas. I argue in the book that each individual’s brain evolves over the course of their life—not in a Darwinian fashion—in a neuro-plastic evolution. Your brain is constantly changing over the course of your life, responding to the kinds of things you choose to do and think. VB: Do you foresee a time when what we might call brain fitness will be as much a part of our lives as physical fitness is now? Norman Doidge: Yes, but understand that even though we all know physical fitness is very important it doesn’t mean we all do it. But yes, I think it’s going to be extremely clear. It is already clear to me that exercising your brain is as important as exercising your body—or almost as important. Exercising your body is more important for staying alive but as we age exercising your brain is also important. The problem now is people have very low expectations for themselves in their 50s, 60s, 70s and 80s because they look around at older people who haven’t been exercising their brains and assume the best they can hope for is wisdom, not processing speed. And many people are very excited by the idea of physical exercise but they don’t actually follow through. VB: You describe how exercise stimulates the growth of new brain cells, and how learning contributes to the longevity of these cells. How can the average person take advantage of this knowledge? Norman Doidge: It’s really simple. To increase the number of brain cells in your hippocampus—the part of your brain which turns short-term memories into long term, and is therefore the crucial part of the brain—you need to do two things. To create new brain cells, new baby cells, in the hippocampus you have to exercise. That means cardiovascular exercise where you break a sweat. Fast walking, for instance, or some kind of biking exercise. You’ve got to do it at least twenty minutes—at the very least. For some people it is going to be longer. And do it a number of times a week. To preserve the newly formed neuronal stem cells, the new baby cells, in the hippocampus, you have to do challenging cognitive activities where you pay close attention and gradually increase the difficulty. Norman Doidge: About as challenging as memorizing a French or Latin vocabulary. Norman Doidge: Preferably, but you probably don’t have to do it quite that much. VB: Meditation is widely considered as beneficial. What exactly is happening during meditation and what are its effects? Norman Doidge: That’s a complicated question—meaning it requires an elaborate answer! The short answer is you are getting better at paying attention to one thing. The part of your brain called the insula has been shown on brain scans to grow in size, and you are releasing a number of brain chemicals which have the effect of calming the body and combating the effects of stress hormones on the body. This is—and you’ve got to put in the word “probably”—probably good for your hippocampus. There are other effects of meditation that have been observed that you don’t have to be a brain scientist to list. Many people report that when they are meditating they have certain kinds of psychological insights and come to understand things. Meditation has been shown to help combat stress, chronic pain, high blood pressure and, most notably, depression—as does exercise. Exercise is probably one of the most under-used tools in our armamentarium to fight depression. VB: Is that intense exercise of the kind you were talking about earlier? Norman Doidge: The kind of cardiovascular exercise where your brain can sweat and you probably have to do it for about two hours a day. In his book Spark, John Ratey has written about this most persuasively. VB: What can people to do increase their intelligence? Norman Doidge: Read good books and do the kind of brain exercises I describe in the book. VB: I conclude from that don’t watch TV, or at least don’t watch it a lot. Norman Doidge: If you’re raised by neglectful parents who stick you in front of a wall all day long or stick you in front of the TV, I would opt for the TV. But if you think watching TV is going to sharpen your memory or improve your brain the way the brain exercises I describe will, you are living in a dream world. It’s not demanding enough on cognition to improve skills and I think everybody knows that. With the exception of a few documentary channels TV is a form of entertainment, not cultivation of intelligence. VB: Do you have any sense of what lies ahead in the area of brain study? Norman Doidge: I know scientists are agreed that the biggest problem, or nut to crack, is understanding more about how consciousness arises in the brain. That is THE big question. My work focuses attention on the fact that conscious thought can actually change the structured function of the brain and its anatomy. This is a very promising area clinically and in terms of extrapolating cultural differences and how training ought to occur in education. But we still lack that big unifying theory which explains exactly how thoughts change structure and, since these are conscious thoughts, what we require is a better theory of consciousness. Right now we know a lot, as human beings who are conscious, about what it is like to be conscious, but we don’t understand how that consciousness is born in this fabulous thing we call the brain. What is helpful is the work of people like Oliver Sacks who describes how brain lesions, for instance, lead to distortion of consciousness. This is an important fact because it tells us that consciousness is dependent on a wholly integrated functioning brain, at least in significant part. VB: Does knowing all that you know about the brain decrease the mystery or increase it? In some areas it decreases the mystery. I understand a lot of more about how learning disabilities arise and how they’re solved. I understand a lot more about how therapy works—both neurological therapy and psychotherapy. I understand how extraordinary things like blind people being able to see can occur because I understand about plasticity. At least I understand a fair amount plasticity. That being said, I am very aware that there is still the great mystery of how conscious awareness arises and how, through thought, it can change the structure and function of brain anatomy. I wrack my brains about it every day. VB: Is that the one thing that you find most fascinating about the brain? VB: Are you aware of any new discoveries or theories regarding brain plasticity or function since you wrote your book which would be of interest? Norman Doidge: Yes, we’re studying variations in plasticity, whether some people have lower or higher amounts. There are many other things but I’m looking at the time and that would take us very far afield. Norman Doidge: But yes, I’m working on plasticity-based problems. I’m also working on a novel and all sorts of other things. VB: We were going to talk about the plastic paradox at the end of our conversation. Norman Doidge: Right. The plastic paradox is the fourth major reason why we missed the fact that our brains are plastic. Ironically, one of the chief reasons we missed understanding the plasticity of the human brain comes from plasticity itself. That’s because our plastic brains can give rise to both flexible and rigid behaviors. The flexible behaviors are obvious—the brain can reorganize itself to do things in new ways. But the rigid behaviours are somewhat mysterious. Why is it that we develop bad habits we can’t lick or accents we can’t overcome? It’s because the brain is a use it or lose it organ and once a circuit is established each time we use it it gets more substantiated. In other words it becomes more and more developed in the brain and can begin to result in rigid behavior. Although I don’t like the use of metaphors to describe the brain because the “machine” metaphor set us back 400 years, for temporary purposes I will liken the brain’s plasticity to snow on a hill in winter. Snow is pliable and plastic, allowing you to ski down the hill by many different paths—not an infinite number of paths because there are rocks here and trees there and a cliff over yonder. Being human, if you have a good run down the hill, on your next run you’ll tend to favour something close to that path because it gave you pleasure. As you keep going down the hill and enjoying it you develop tracks and eventually those tracks become ruts. They become ruts because the snow is pliable, it’s plastic, and you get more and more into the ruts the more you follow the same pathways. You choose to stay in those ruts because of familiarity, because of previous pleasure and because it becomes the very fastest circuit or track down the hill. Soon you might find that you’re stuck in those ruts. Humanity has often looked at certain of its behavioral and thought rigidities and projected them back onto the brain—if our behaviors are rigid then our brains must also be rigid. We, as individuals, make the same error. We look at our behavioral rigidities and assume we have to be this way. The discovery and understanding of brain plasticity is an opportunity for each of us, in our individual lives, to examine such assumptions and make sure we’re not being deluded by the plastic paradox. VB: So it is a message of hope and optimism? Norman Doidge: If we use it. It is actually quite stunning to realize the implications of this knowledge. It opens the brain as the next frontier—the seat of intelligence and consciousness examining itself. What will follow? 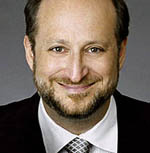 Dr. Norman Doidge studied classics and philosophy at the University of Toronto and subsequently received a M.D. in medicine. He simultaneously completed psychiatric and psychoanalytic training at the Psychiatry Department, Columbia University in New York. Following this he spent two years as a Columbia-National Institute of Mental Health Research Fellow, and a third year as a Clinical Fellow in Psychiatry at Columbia University. Dr. Doidge is a psychiatrist, psychoanalyst, researcher, author, essayist and poet. He is on the Research Faculty at the Columbia University Center for Psychoanalytic Training and Research, in New York, and the University of Toronto’s Department of Psychiatry. Thank you for the interview with Norman Doidge, I am reading his book it the moment to help my grandson who has difficulty talking. His story is that he suffered neglect and was allowed to play X-box games for twelve or more hours a day until he began school. He has been with me for the past year and has improved in language so he is now about equal to a 2 year old in speech but he also has severe social difficulties. This book and the interview have helped me considerably and more importantly have given me HOPE that this little boy can be helped. He is five years old and in the next few months will turn six. In the past year with one on one attention he has learned to read and can now read language. I am concentrating my attention now on comprehension of what he is reading. I am sure in another year he will have improved even more. I am doing my science fair project on how the brain changes. I have read Dr. Doidge's book and I am really interested in it. I have also read your interview with Dr. D. I will try to find your interviews with other scientists to read as well as they are informative and interesting. Interesting web site and interview with Dr. Norman Doidge.